Read our case studies below, and if you have any questions, or would like to chat about how we can make a difference for you please get in touch today. Scientists will tell you that it takes 500 years to grow an inch of soil. Well, south of Auckland a combined horse stud and cattle operation that lost almost all its topsoil has defied this logic by growing over two centimetres of new soil in under two years. How do you grow and maintain healthy pasture for elite bloodstock on land that has virtually no soil at all? 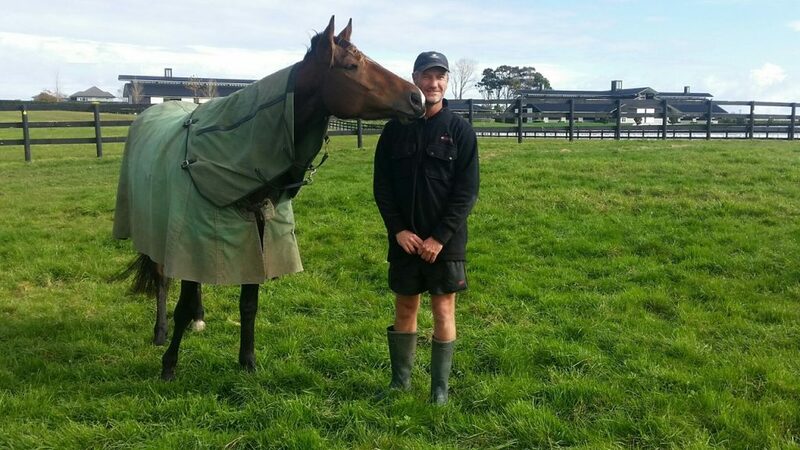 That was one of the challenges facing Karaka horse breeders Lindsay Racing two years ago. James White, Lindsay Racing’s landscape manager, says prolonged heavy earthworks commissioned to re-contour the property’s main 200-acre block had left the landscape denuded. “Motor scrapers operated six days a week for six months to fill in gullies and shape the land to better suit horses,” he says. “That completely took away the topsoil, down into the clay, [leaving] a heavily clay-based farm with a very nondescript amount of topsoil put back on top. The situation was compounded by a second problem. 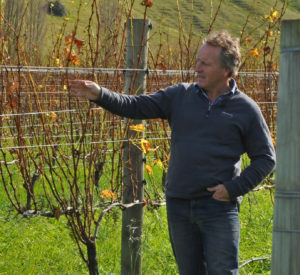 Owner Brendan Lindsay had installed a pod irrigation system at great expense but a subsequent soil test revealed that the bore water was high in sodium. As James points out, salty water and heavy clay are not a good mix. 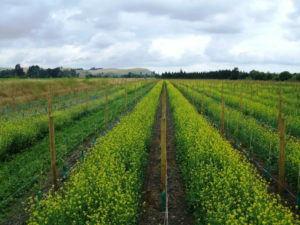 The land was not doing well under conventional management practices but in May 2015 a chance connection introduced Lindsay Racing to Integrity Soils. A consultant visited the property for a comprehensive consultation, and carried out an assessment of the soil status and health. “It was quickly established that we needed to change,” James says. Integrity Soils followed up the consultation with an in-depth analysis of the property and a report outlining a three-year programme to rectify the issues with the land. This would focus on re-building the soil to promote healthy pasture. The first step was to stop using chemical fertilisers and replace them with amendments in more natural forms— for example, guano-derived phosphates instead of highly soluble, salt-based fertilisers. Lindsay Racing now applies a fish-based foliar feed with fine lime every spring and autumn. Regular soil testing dictates which solid fertilisers go out, and in what quantities. To mitigate the high salt levels from the bore water, the property applies gypsum (calcium sulphate) to flush the sodium through the soil. Two-thirds of the way into the programme, James White couldn’t be happier. Integrity Soils visited the property earlier in the year to ensure the programme was on target and to refine if needed. Preliminary findings have gone beyond James’ initial expectations. He says the improvements are also reflected in pasture quality and horse health. Thanks to a natural insecticide (entomopathogenic bacteria) in the fish foliar application, there has also been a significant reduction in the horse tick population. There’s no question in James’ mind about how Lindsay Racing’s future with the Integrity Soils programme is going to pan out. “We know that we’re going to carry on doing this forever,” he says. And, with owner Brendan Lindsay also fully engaged and invested, a recently-purchased block of 330 acres over the road will be keeping its topsoil in good shape. These front-runners took a successful punt on regenerative agriculture that will guarantee excellent form for many seasons to come. If you want winning results for your own operation, get in touch for a chat. 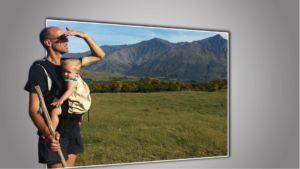 Queenstown farmers Chris and Emma Dagg have an extra spring in their step these days. Their animal performance has increased, their clover levels have lifted and their pasture pests have reduced dramatically. And all this happened within the tough 2015 / 2016 season.t that time the vines required high fertiliser, trace element, fungicide and herbicides inputs to produce a viable crop. Some of the blocks had high vigour with poor fruit ripening, and some blocks were uneven in growth and ripening, causing major headaches for the owners. ‘If you saw the farm in 2011 you wouldn’t have believed this was possible,’ says Chris. Despite his upbeat approach to life, Chris started feeling fed up with farming. Like many farmers, he’d been applying Sulphur Super, lime and Potash each year. A view of the Dagg’s farm, Hazeel Downs. The 424 hectare lamb and beef station is situated below Coronet peak in New Zealand’s Southern Lakes district. But it wasn’t working any more. His spending was increasing, production was dropping, manure was slow to break down and pasture performance was poor. The thistles were never ending and they seemed to take more chemical to control. So he started looking into regenerative agricultural practices. After a bit of research Chris started a solid fertiliser program in 2011 to balance soil base saturations. Along the way he discovered several articles written by Nicole Masters, the director of Integrity Soils, an Agro-Ecologist, educator and academic who specialises in regenerative agriculture. Chris attended a soil health field day run by Integrity Soils at David Crutchley’s property in Central Otago. ‘I was immediately inspired,’ he says. In 2015, Chris invited Integrity Soils to Hazeel Downs to identify the farm’s major limiting factors. They conducted a thorough assessment; examining animal performance, testing leaf herbage, and carried out soil mineral and microbial tests. Integrity Soils discovered that Chris’s soils were ‘sleepy’; meaning they had poor microbial activities, thatch and there were a lot of pests. Some spots were dense with mealy bug and a spade spit uncovered 27 clover root weevil and 2 porina. Chris was shocked to find he had more livestock eating pasture underground than on it. An extensive report was compiled providing recommendations around infrastructure and bio-fertiliser. Chris and the next generation of regenerative agriculturalists, Betsy Dagg. In Autumn Chris started applying bio-fertiliser and biocontrol agents and by spring-time the monitor sites had 80% more clover cover. ‘I was amazed at how quickly the clover weevil disappeared,’ says Chris. When summer came there was less lower quality browntop as well. ‘The farm visit and recommendations were invaluable’, says Chris. Insect pests were decreasing and the beneficial soil biology was improving. Monitoring is continuing to ensure bound nutrients are unlocking, manure and thatch is breaking down and pasture palatability is improving. In the second half of 2015 the farm suffered from below average rainfall. Only 2mls fell in the month up to mid January 2016. The conditions challenged farmers across the region and many struggled to meet lamb weight targets. So Chris was happy to get 30% of his lambs away at first draft. Chris and his family are excited about the coming year. Regenerative agriculture is not just about the soil; Chris and Emma are now implementing a rotational system using electric fences rather instead of set stocking. There are animal health trials underway to find the most cost effective solutions to worms, with early results are already yielding animal weight gains. The Dagg’s want to continue to improve the quality and performance of their stock. They aim to continue reducing their chemical inputs as much as possible and produce top quality nutrient dense meat. They are well on their way to meeting their goals. Are you ready to get started? Get in touch with us today. 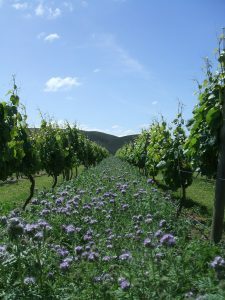 The Kokako Vineyard is situated in the Ohiti Valley Hawke’s Bay with 100ha of vines of mix varieties split over two sites ranging from silt loams to heavy river gravels. Integrity Soils started working alongside Bruce Nimon and Kokako Farms in 2006 prompting them to look at how they could move from a high input chemical, calendar driven system towards a pro-active soil-first approach. At that time the vines required high fertiliser, trace element, fungicide and herbicides inputs to produce a viable crop. Some of the blocks had high vigour with poor fruit ripening, and some blocks were uneven in growth and ripening, causing major headaches for the owners. Due to a long history of cropping the silt loam blocks required 4 to 6 herbicide applications per year; higher than industry norms because of problem weeds like mallow, nettle, prickly pear, and fat hen. Low production in some blocks and high vigour in others was also a grape quality issue for Kokako. The herbicide was having a marked impact on soil health, with structure-less mossy dead zones. It seemed pretty clear that the herbicide with a major limitation on this property, but not everyone wants to hear “you need to pull your spray programme!” so we worked with Bruce to trial a block to immediately halve his chemical use. We achieved the same kill rate through the addition of a biological product designed to buffer chemical and increase its efficacy, whilst reducing harm to the soil microbiology (glyphosate is registered as an antibiotic). Removing the permanent herbicide strip from under the vines was the single bigger shift in the grape growing system. 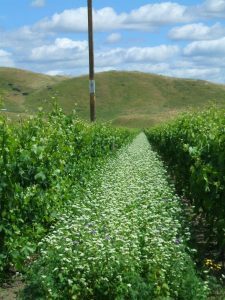 Once the trials showed merit Bruce introduced biological products for vine and soil health, and began to trial other approaches including intervine plantings to build soil health and provide bio-controls. The benefits from changing this practice were massive with improvements in vine health and grape quality, lifting kokako blocks from Premium to Super Premium. A recent MPI (Ministry for Primary Industries) study of North Island Vineyards revealed that the cost reductions per ha put Kokako into the top most cost effective vineyards in the North Island. Bruce is an absolute pleasure to work with; he has taken on his programme with an open and critical mind. He always wants to see the results and the research, which is great, as he keeps us on our toes. In our experience, the key to success (and the biggest limiting factor) for any biological farming system is a land manager’s ability to observe, enquire and build a thirst for knowledge.